Tonight we welcome Portland’s own Will Vinton for the first of several programs offering an overview of the celebrated work produced at Will Vinton Studios during its 30-year run. 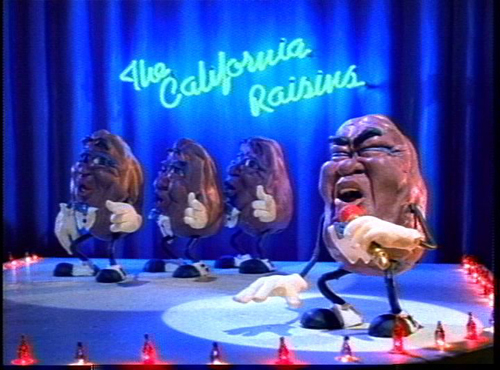 The winner of an Academy Award, numerous television Emmys, and international animation awards numbering in the hundreds, Vinton used Claymation, a term he trademarked, to bring to life such memorable characters as the California Raisins and M&Ms. 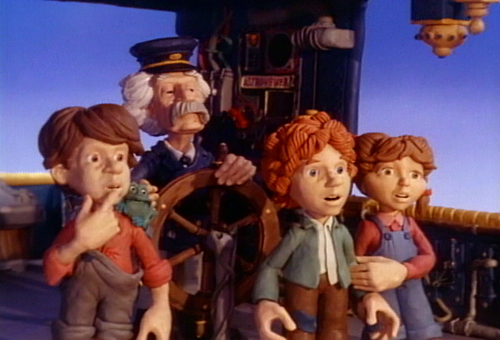 Claymation characters are also featured in dozens of his classic short films, his remarkable feature film THE ADVENTURES OF MARK TWAIN (1986), and television series such as “The PJs” (1997-2001). Armed with clips from more than 50 productions spanning his 3D animation career, from CLOSED MONDAYS (1974) to “The PJs,” Vinton will take us on a journey through his personal process and artistic evolution, focusing on character development, production design, and techniques of stop-motion animation. Join us as we screen and celebrate the achievements of matriculating School of Film Certificate Program students and recent Film Center scholarship recipients. FIXING MELISSA is Patty Salmon's story of a young woman who tries to organize and control her world by obsessively recording her surroundings on Super 8mm film. Hart Noecker's NYX follows a woman who is able to successfully lead two separate lives—until the balance is interrupted. 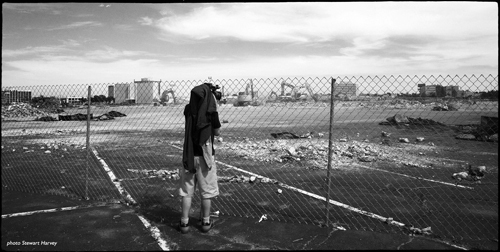 We will also screen short works by seven individuals who have received tuition assistance through the School of Film's three scholarship programs. These filmmakers are Mario Garza and Ian Geronimo, recipients of David King Scholarships, which remember the life and work of former Film Center student David King; Liz Lewis, Cheryl Lohrmann, Jessica Baclesse, and Katie Rasmussen, recipients of Faerie Godmother Scholarships, which help emerging women filmmakers assume primary creative roles in the field; and Sholeh Dalai, recipient of a True North Scholarship, which benefits beginning filmmakers who are developing a new life around film. The filmmakers will be in attendance to present their work and take questions from the audience. 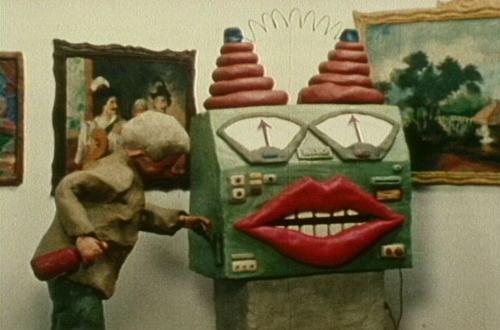 Vinton’s multiple Emmy Award-winning television shows and specials, created in Claymation and stop-motion, employed the talents of dozens of Portland's most creative animators: Don Merkt, Barry Bruce, Joan Gratz, Craig Bartlett, Bill Fiesterman, Doug Aberle, Mark Gustafson, and Tom Gasek, to name but a few. Tonight Vinton will share some of the award-winning programs that made the Vinton Studio teams world renowned. Among the selections are the famed MEET THE RAISINS (1988), the Academy Award-nominated RIP VAN WINKLE (1978), and CLAYMATION EASTER (1992), plus single episodes from the television series “Gary and Mike” (1979) and “The PJs” (2000). The Vinton Studio’s body of short, family-oriented films remain among the most impressive and delightful of any animated films in the world. Today’s treasures include DINOSAUR (1980), starring Herb and Rex; Vinton and co-director Bob Gardiner’s first animated film, the Oscar-winning CLOSED MONDAYS (1974), and their follow-up, MOUNTAIN MUSIC (1975); entertaining animation tell-all CLAYMATION (1977); LEGACY (1977), a rapid-fire journey through the evolution of the world; Academy Award nominee CREATION (1981), featuring Joan Gratz's amazing clay painting; and Academy Award nominee THE GREAT COGNITO (1982), starring an ever-morphing stand-up comedian. Tonight the screen is yours. We throw open the doors of the Whitsell Auditorium and invite you to show your new short work. If you have something you're proud of, sign up for a showtime by contacting Thomas Phillipson by March 3 at thomas@nwfilm.org. First come, first served as time allows. Invite your friends—admission is free! David Rivinus never intended to be a maverick as a viola maker. It began as an effort to solve the physical problems that arise when violists repeatedly play instruments that are simply too big. Players have had to leave the profession because of carpal tunnel syndrome, back, shoulder, and left arm injuries. So Rivinus set out to redesign the viola—to sound, work, and feel better for the player. Though the traditional appearance of the viola had remained unchanged for 400 years, his radically shaped “Pelligrina” violas became so popular among career string players that in 2005 Rivinus was commissioned to build one for the National Music Museum’s collection. This film tells the story of his extraordinary innovations and of the crafting of that very special instrument. Directors CHRISTOPHER LEY and CARL VANDERVOORT in attendance. 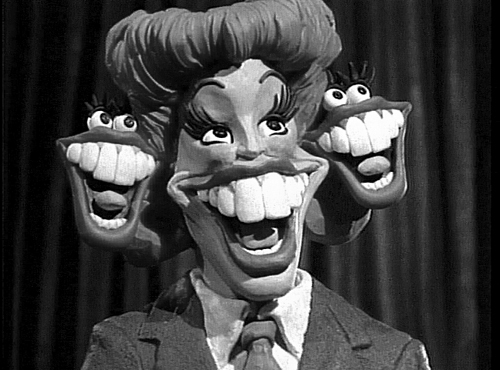 Will Vinton’s first feature-length Claymation film—and the world's first—took his studio three and a half years to make and is an extraordinary display of dazzling animation technique. James Whitmore is the voice of the famous writer, chronicling Twain's fantastic voyage with Tom Sawyer, Huck Finn, and Becky Thatcher to rendezvous with Haley’s Comet. “The most original and audacious animated feature since FANTASIA.”—PBS’s Sneak Preview. “In paying tribute to a man of originality, compassion, and intelligence, Vinton has adopted those very qualities himself.”—Time Out.